Since Boca Tampa opened a few years ago they have been one of my go-to spots for dinner and brunch! 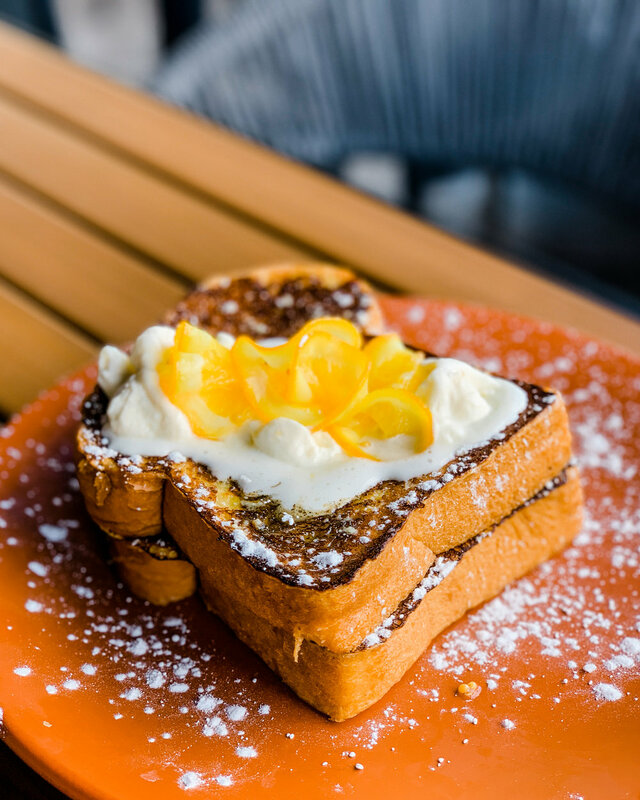 I recently stopped in for brunch and tried a few of their classic & new locally inspired dishes. It always takes me a while to order because the entire menu looks delicious. We decided to start off with the Grilled Gulf Oysters, which were topped with garlic toasted croutons, asiago, and parmesan cheese & oregano butter. After the oysters we couldn’t decide if we wanted to stick with brunch or lunch dishes, so we ordered some both. 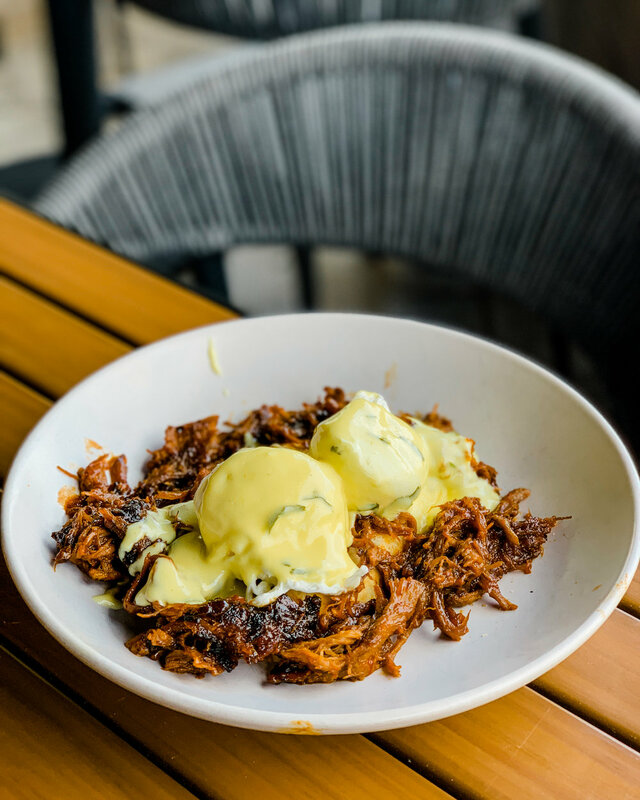 Up first was the BBQ Pork Benedict, which was a sweet and sticky smoked pork, on pretzel toast topped with poached eggs and cilantro bearnaise, served with a side of potato hash. The pork was a perfect mix of smokey and sweet and once we broke open those eggs…no words for how good it was. Next was the Grand Mar’s French Toast, a thick cut white bread, topped with burnt sage butter, Grand Marnier creme, candied oranges and a rosemary maple syrup. This was by far the best french toast I have EVER had. The bread was giant and fluffy and the mix of the creme, maple syrup and orange was unbelievable. 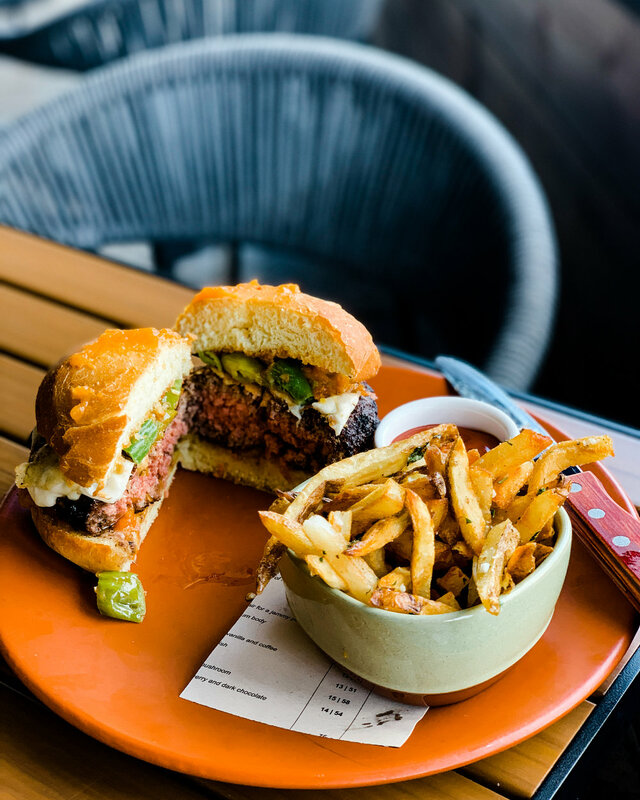 And finally, the “Try This” Burger with Wagyu ground beef, grilled queso, papaya BBQ sauce and shishito peppers on a Hawaiian roll served with parmesan truffle fries. This combo of flavors was amazing! I wish they would sell this papaya BBQ sauce.